Performance Metrics May Lead to Pharmacist Errors | Kennedy Hodges L.L.P. While pharmacies are designed to provide medication to patients, they are also businesses that must be profitable in order to stay in business. Unfortunately, this combination can be potentially harmful to patients as the pressure to make money and be efficient can sometimes compromise the quality of services provided. One culprit that may be to blame for pharmacy errors are performance metrics. Performance metrics is a system that is used to measure how many prescriptions a pharmacist is able to fill, and how quickly he or she is able to do so. In many cases, these systems also include the number of flu shots a pharmacist makes in a day and the number of phone calls pharmacists make to patients encouraging them to fill their prescriptions. For example, a system may dictate that pharmacists must fill a certain number of prescriptions in a given time period, such as three prescriptions every 15 minutes. Unfortunately, if the pharmacist falls behind under the performance metrics, his compensation may suffer. The pharmacist may also be spoken to by management and suffer other consequences. For example, the pharmacist may be instructed to write up an action plan on how they will improve his performance or they may be required to demonstrate how he is going to be able to meet all of his metrics going forward, including the prescribed number of phone calls, flu shots, and prescription fills. 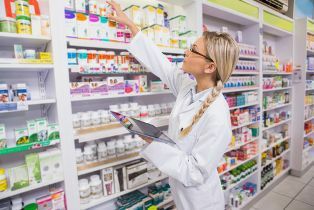 Performance metrics are often used by chain pharmacies, such as Walgreens and CVS, in order to monitor the different elements of the prescription filling process. The overall idea is to encourage employees to work faster and efficiently. Unfortunately, critics argue that metrics put too much emphasis on quantity over quality, increasing the likelihood that a pharmacist could make an error that leads to injury. How Are Performance Metrics Potentially Harmful to Patients? The reality of life working in a pharmacy is that it is a high-pressure environment. Pharmacists and other employees are working with potentially dangerous products that must be carefully measured, packaged, and dispensed. They are also required to do so under tight timeframes in an atmosphere where people are waiting and want their prescriptions filled as quickly as possible. As a result, both the pace and the level of stress are high in a pharmacy. A patient may be given the wrong strength of his medication. A patient may be given the wrong number of pills. A patient may be given a medication with the wrong label on the bottle. A patient may be given the wrong set of instructions with his medication. A patient may receive the wrong medication entirely. If you think these types of errors occur rarely, you are mistaken. Pharmacy errors occur every day. Some recent errors that were reported include a patient given an allergy drug instead of a medication for high blood pressure, a patient receiving an acid reflux medication instead of an anti-depressant, and a patient given an arthritis drug when they needed a medicine to treat their seizures. While pharmacies themselves claim that metrics do not cause mistakes with regard to prescriptions, pharmacists argue otherwise. A recent survey of nearly 700 pharmacists was conducted by the Institute for Safe Medication Practices. The results of the survey show that more than 83 percent of pharmacists believe that performance metrics contributed to dispensing errors. Susan Holden, president of the Massachusetts Association of Pharmacists, has stated that performance metrics in a drug store chain where she once worked created an environment that was nerve-wracking, stressful, and sometimes led to tears. She attributes the metrics system to an increased level of stress on pharmacists and an accompanying higher risk of harm to patients. If you were injured as a result of an action of a pharmacy, it is crucial to take action quickly in order to protect your legal rights. We are here to help. We encourage you to contact us today for a consultation at 888-526-7616.